Northern Illinois University junior Cornell Cox is not afraid to confront life’s big questions. In a conversation about his path to NIU and his choice of major, he brings up climate change and war, deep questions about how human behaviors have led to the major challenges facing the world today. He also discusses his love of teaching, his excitement about learning Chinese and his fondness for video games. 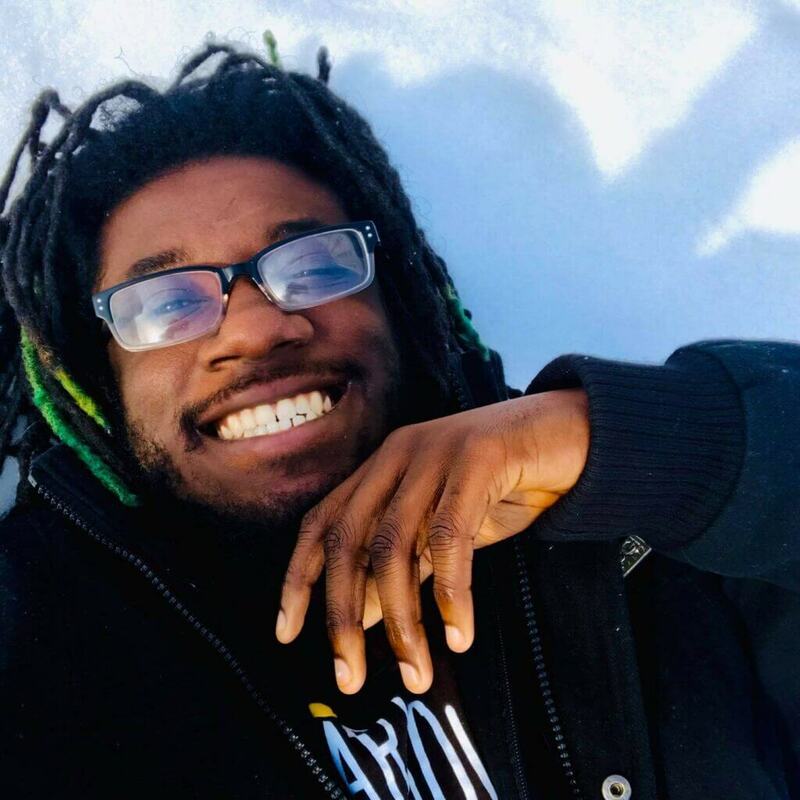 He mentions the many eclectic interests he is pursuing at NIU as a double major in sociology and communication studies with a minor in Chinese, as well as a student worker with NIU STEAM. Cox’s passion for teaching quickly becomes apparent to anyone who meets him. “I believe you can make anything exciting. It just takes a creative mind to do it. Your passion will be reflected in the passion of the kids,” says Cox, who has worked for two years as part of NIU STEAM, which is dedicated to educating young people about science, technology, engineering, art and math through hands-on interdisciplinary activities. In this role, Cox creates hands-on displays for K-12 school demonstrations and STEMfest and assists with science demo shows. Cox also works as a camp counselor and instructor with NIU STEAM summer camps. In the summer of 2018, as one of the youngest instructors to lead a camp session, he taught middle-school campers how to program robots and compete in challenges with one another. Cox’s Battle Bot camp was so popular that enrollment in his Waterbotics session the following week doubled, as enthusiastic campers begged their parents to let them come back. While Cox doesn’t shy away from addressing serious real-world problems with his students, he also approaches camp with an eye towards fun, and this combination is clearly a winning one with his campers. Cox says he used real-world challenges to make the robotics lessons exciting for students. In the Battle Bots camp, students completed mini-challenges throughout the week to hone their coding skills before competing in a robot soccer tournament. In Waterbotics camp, the students were challenged to rescue a ping pong ball within the time it would take for a person to drown, as well as clean up debris from a pool that represented the garbage patches currently circulating through the earth’s oceans. Cox enjoyed his first experience at NIU so much that he returned the following summer for a video game design camp with NIU’s Digital Convergence Lab. After high school graduation, he decided to enroll at NIU because “the campus is really beautiful, it’s affordable and it has so many resources,” he says. One of the other things that attracted Cox to NIU was the chance to explore a variety of different possible majors and career paths. By using his general education courses to help him choose a major, Cox fell in love with the fields of sociology and communication. He also discovered an avid interest in Chinese language and culture, and he’s looking forward to studying abroad in China after completing a few more semesters of Mandarin study. Cox says that, while he’s still considering a wide range of career options, he would love to work in a field with a teaching or counseling component. Human resources and counseling are both on his radar, as well as teaching. In the meantime, he’s looking forward to finding out which summer camp he might be leading this coming year.